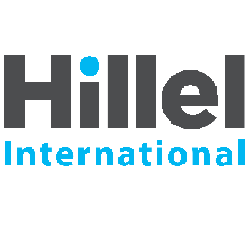 Oberlin Student Hillel is an organization dedicated to facilitating Jewish religious expression at Oberlin. Hillel hosts weekly Kabbalat Shabbat Services, led by various students in different ways, ranging from tuneful guitar services to a more conservative style. Hillel teams up with the Kosher Halal Co-op to host a traditional Shabbat dinner each week. Hillel hosts monthly egalitarian Saturday morning services, which are also student-led. Hillel also facilitates the cultural and religious celebration of all of the holidays, with services for Rosh Hashanah and Yom Kippur, festivities in the Sukkah on Sukkot, a Torah reading and dancing for Simchat Torah, parties for Purim and Hannukah, and a campus Seder for Passover. The Jewish Student Union, which works closely with Hillel, is responsible for the cultural and social well-being of Jewish students and hosts events such as weekly lunches, apple picking for Rosh HaShanah, and more. More information about Hillel/JSU please contact Sarah Goodstein (sgoodste@oberlin.edu).